Have you ever seen some jumping pepper? 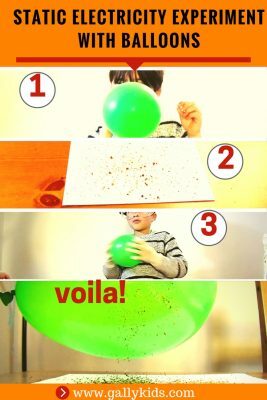 Well, this static electricity experiment with balloons will do just that. We even heard some “hissing” with this experiment. If you listen closely to the video, you will too. 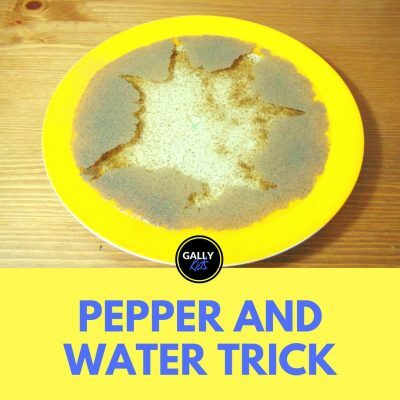 This is another one of the easy kitchen science experiments that you can easily do when the kids are getting bored. And they will know a thing or two about static electricity as well. 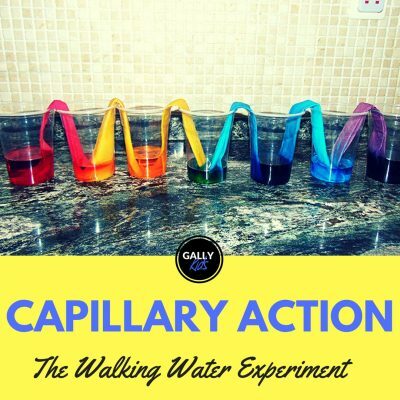 The Experiment In The Gally Kids Headquarters! It was a beautiful Saturday afternoon when we did all these balloon experiments here at Gally Kids. The first thing we did was to blow up the balloon. It wasn’t an easy task. 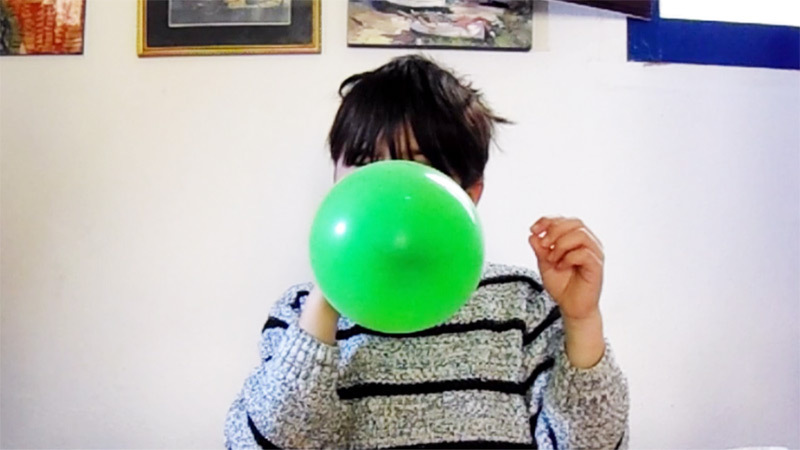 The nine-year old is not very keen on blowing balloons (from a past experience of a balloon blowing up on his face)! But after a few tries, we finally got the right size balloon! Then it was time to put some pepper on the paper (that could be a tongue twister!). We used a pepper grinder. You don’t have to. In fact, this will probably work better with ground pepper as they are a lot smaller than these freshly-ground pepper. After a little mishap of the grinder opening and pouring most of the pepper into the pepper, we’re back on track. Now the first thing I asked my son to do was to put the balloon on top of the pepper to see if anything is going to happen. You don’t have to do this. But it’s a good way to compare the results of the experiment later on when something will actually happen! So after the nothing-happening bit, I got my son to rub the balloon on his jumper. Next, he did exactly the same thing with the balloon (put it above the pepper) to see what would happen. And this happened! And the hissing! did I mention the hissing? Really cool. 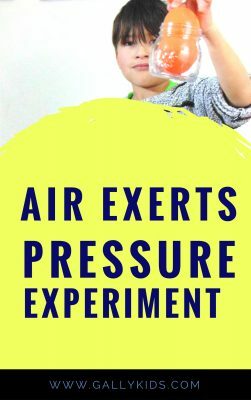 And if you do the optional part of the activity above, your child can see that one little change in the experiment, changed the results too! 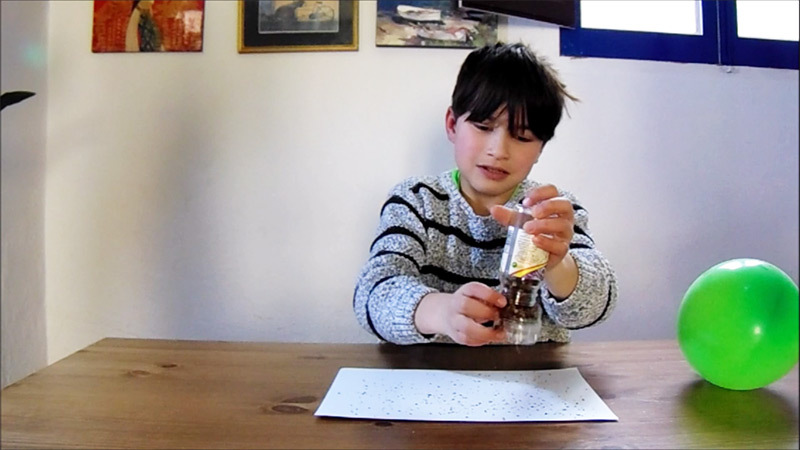 How about that for an important lesson on having a control group in a Science experiment? Step 1. First, blow up the balloon. We reckon 3 – 5 breaths is a good enough size! Step 2.Then, sprinkle pepper on the a4 pepper. Optional: Put the balloon about an inch above the pepper. Observe what happens. Step 3. Next, rub the balloon in clothing that’s made of wool or nylon. Step 4. 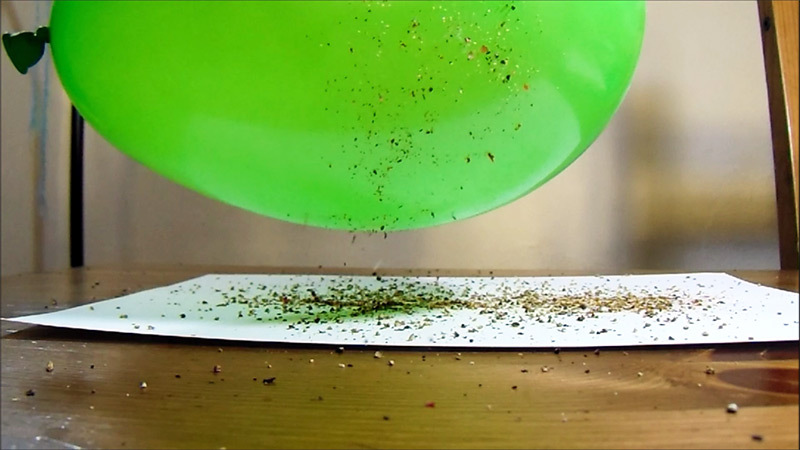 Finally, put the balloon about an inch above the pepper and watch and hear the pepper dance and jump towards the balloon. Be quiet and listen closely and you will hear the “hissing” too! 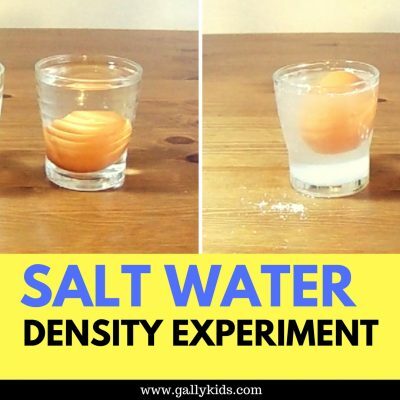 Allow me to try and explain the Science behind this fun educational activity. All matter either have a positive or negative charge. 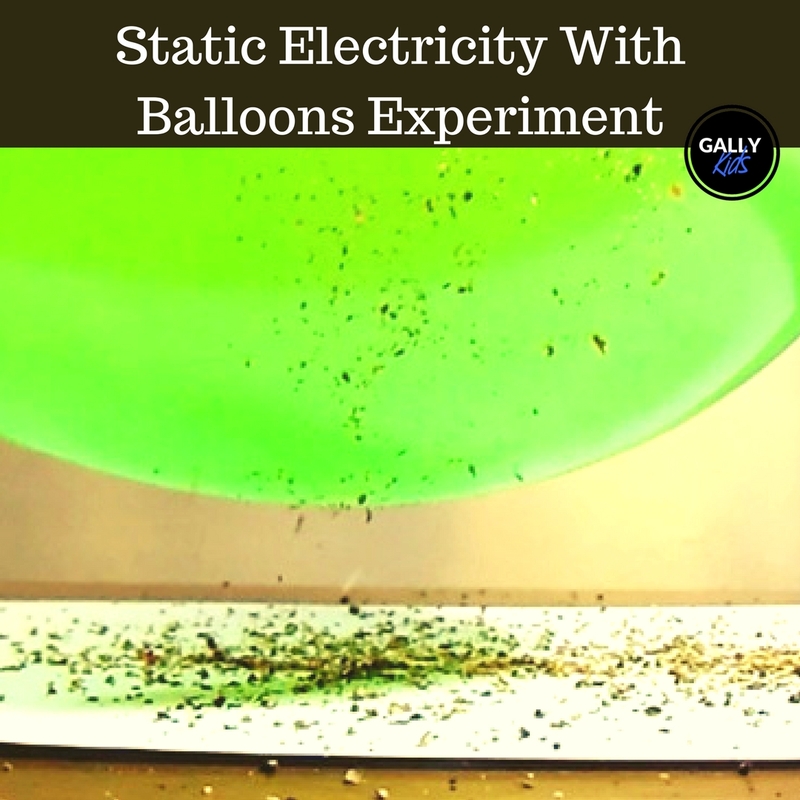 When you rub the balloon on the clothing, some of the electrons (which are negatively charged) from the cloth transferred to the balloon. This left an imbalance of electrons, making the balloon more negative. This electron imbalance is called static electricity. ❗ Another thing to know about electrons is this: electrons of the same charge repel each other while electrons of different charges attract each other. Now going back to the balloon and the pepper. 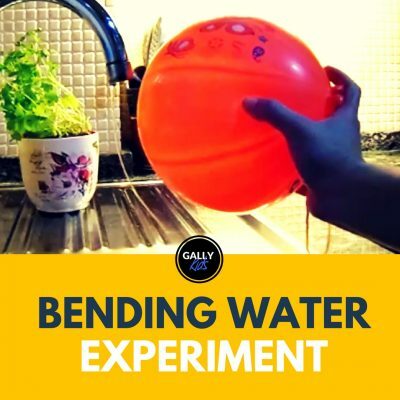 The balloon, after the rubbing, becomes negatively charged. Now, the pepper is positively charged. So remember? different charges attract each other? 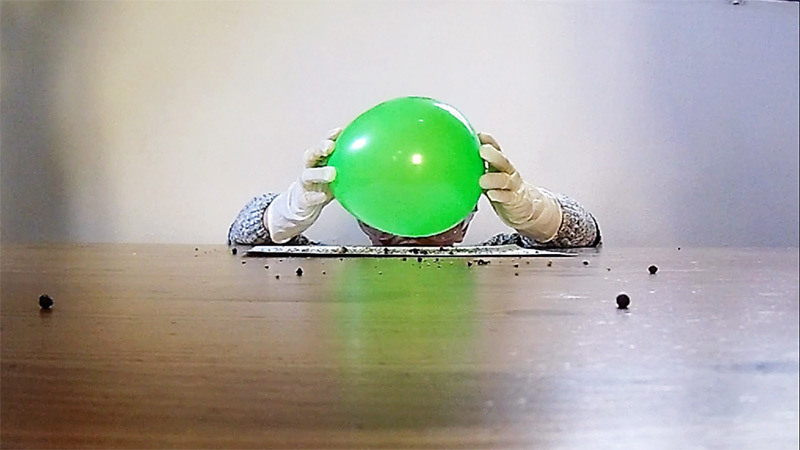 That is what’s happening in this static electricity experiment with balloons! The positive charged pepper can’t help but be attracted to the negative charged balloon! And so they jump towards it. Magical!!! but it’s not magic. Here’s a video of this experiment. 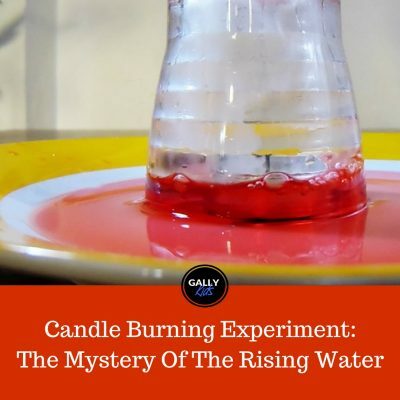 You can find this and other Science experiments on our Youtube channel. Don’t forget to subscribe!